Sweet and zesty lemon smoothie recipes! Check out these healthy smoothie recipes to get the benefits of lemons into your diet. This little bright yellow fruit has been extremely popular throughout history. I love using lemon oil and baking soda to clean my bath tubs, sinks, and tile. 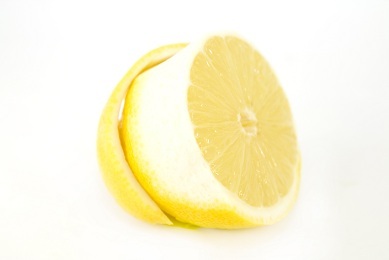 The refreshing smell of lemon oil is uplifting and rejuvenating. Lemonade brings back memories of water fights in summer afternoons and enjoying the sun at the beach. If life gives you lemons, make something besides lemonade, like a lemon smoothie! They are very refreshing! You can use part of the peel to create a stronger tasting lemon flavored smoothie. I would only recommend, at the beginning, a little bit of the peel as the flavor can get quite powerful. The wax coating on the lemon is another thing to consider when using the peel in your smoothies. You probably don’t want to be blending up that wax and drinking it. To avoid these waxes, use organic lemons that are cleaned with a biodegradable cleaner. Many cooks teach that you should not use the white pith of lemons and oranges. But I would like to challenge you to try using part of, if not all, of the pith in your smoothies. 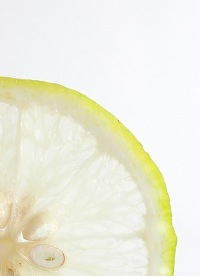 The white pith and the peel contains limonene, a powerful cancer fighting nutrient. Perhaps if you are just starting out using lemons, peel the pith off and use only the lemon. See what you think. Then next time, make a smoothie using part of the pith. If you decide that you don’t like the pith, you are still receiving terrific health benefits by using the whole lemon instead of the just the juice.